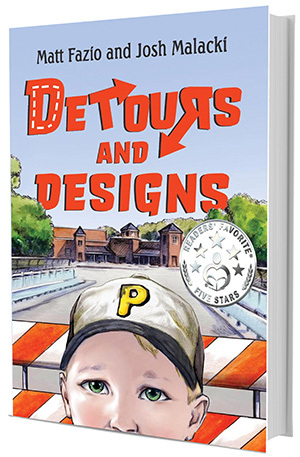 Matt Fazio, Ph.D., part-time instructor for the Department of Literary Arts at Point Park University, recently co-authored the book Detours and Designs, a novel for young readers about real issues and problems they face. "The book is co-written with my friend, Josh Malacki. We both felt we had some untapped creativity, and, having both studied English, thought it would make sense to take a shot at writing fiction," Fazio said. "We ultimately decided on fiction for a younger audience because we felt that regular kids in realistic situations were not shining through when so many other-worldly themes were dominating. We wanted to connect with young readers about issues and problems they actually face in their everyday lives," he explained. Fazio teaches various on-campus and online composition classes at Point Park, as well as a World Literature course. 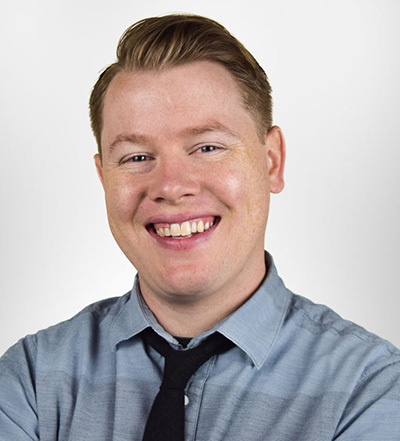 He is also a marketing supervisor for Donnelly-Boland and Associates in Pittsburgh. Brentwood Public Library, May 11, 2018, at 3 p.m.
Baldwin Borough Public Library, June 19, 2018, at 6:30 p.m.
Fazio and Malacki are also hoping to speak about the book at schools in the near future. Check out the Point Park Faculty Authors page and learn more about the University's creative writing and English degree programs.